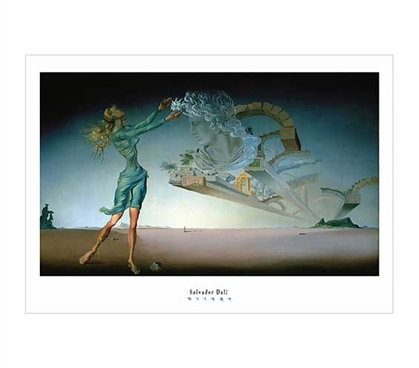 Salvador Dali created some of the most eclectic and even mysterious art there is. If you're a fan of any of his works, include them as part of your wall decor for college. This Mirage - Dali, Salvador Poster will be a great art piece to include as part of your dorm wall decor. No, we can't offer you the original, but a poster for college that's a replica will provide a much cheaper college wall decoration. Dorm stuff that's cheap and looks great is the combination you'll need when it comes to your college wall decor.